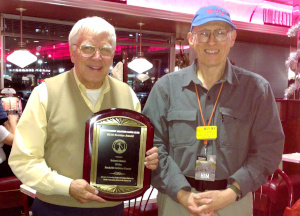 At our December 2018 Holiday Dinner Meeting, David W2LNX presented the MARC Service Award to Bob Ekman of the Rockville Science Center for Bob's outstanding support of Amateur Radio at the Rockville Makerspace and Rockville Science Day. 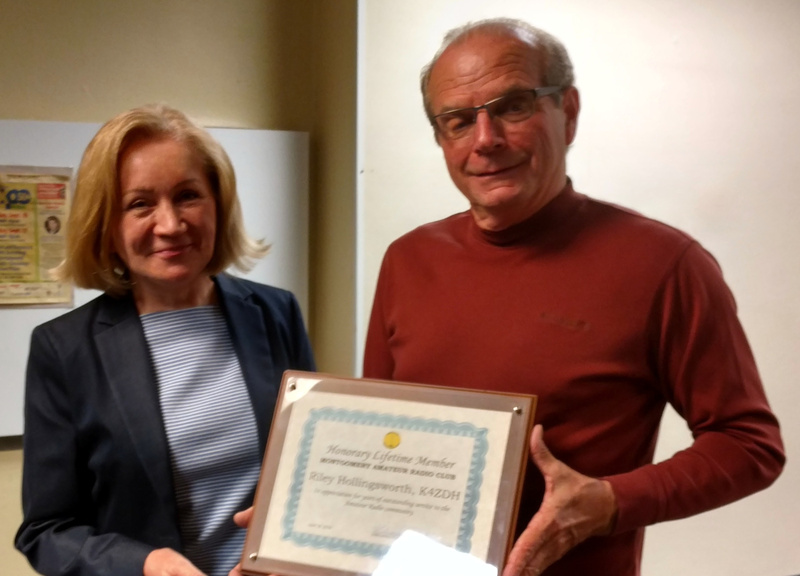 Riley Hollingsworth K4ZDH, Vice Director, ARRL Atlantic Division, is presented with a Lifetime Membership to the Montgomery Amateur Radio Club by Aleks W3JAG, in recognition for Riley's outstanding contributions to Amateur Radio. 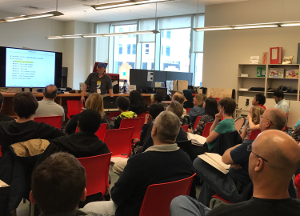 The Montgomery Amateur Radio Club and the Rockville Science Center are having free Technician license classes in the Rockville Memorial Library on six Saturday afternoons from March 31, 2018 through May 5, 2018, with a public exam session on Saturday, May 12, 2018. 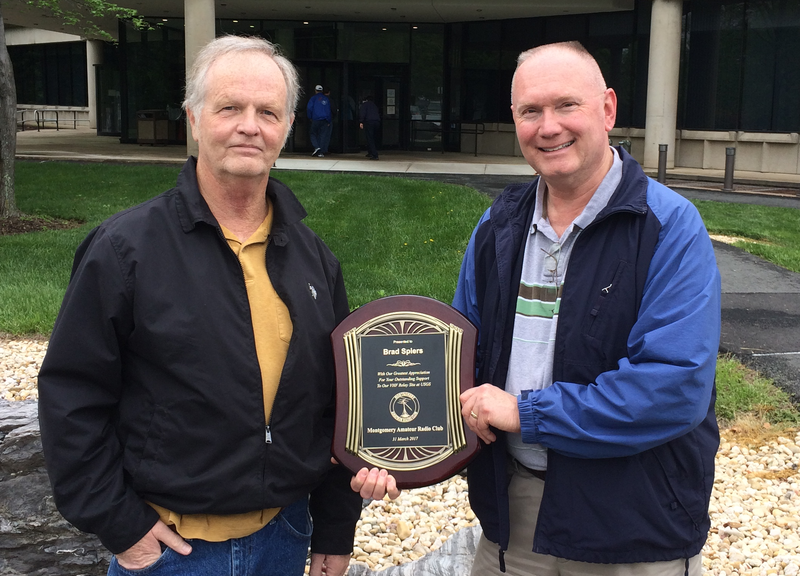 Terry W3EDS, Chair of the MARC Repeater Committee, presents Brad Spiers the MARC Service Award for his outstanding support through the years to our VHF Relay Site in Reston, Virginia. Brad was instrumental in bringing this relay site on line, allowing us to extend the coverage of our VHF repeater system in the Washington Metro Area. Tom W3TDH presented one of our new hams, Jamison KC3HKF, with the ARRL First Contact Award at our Oct 5 meeting. 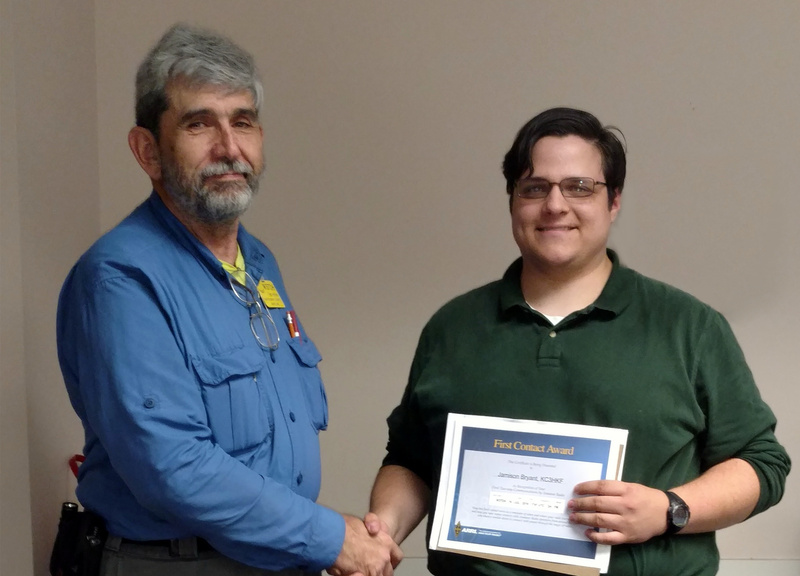 Congratulations to Jamison and welcome to Amateur Radio! Is it time to renew your MARC membership? Please renew and pay by paypal or credit card. 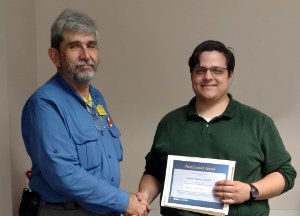 If you prefer to pay by check, download the MARC membership form, fill it out and mail it in at the address provided on the form. 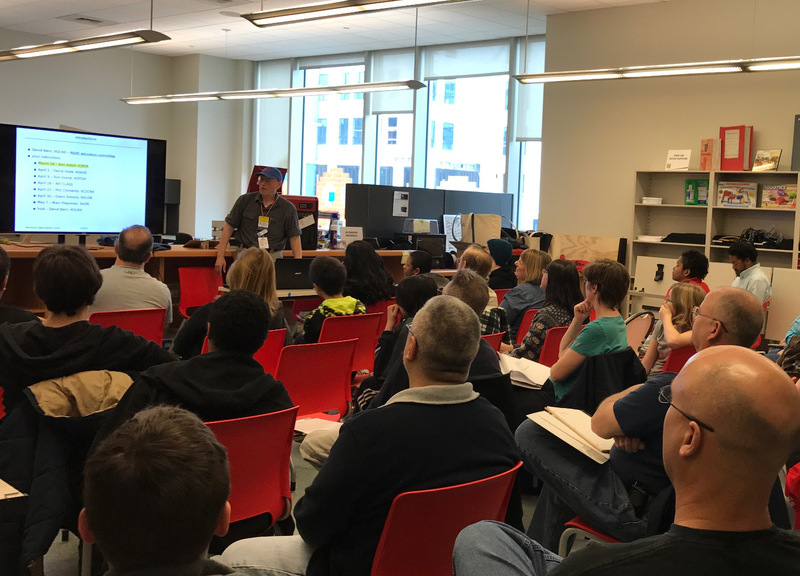 Subscribe to the MARC Reflector to participate in our online club conversations and quickly share information with all club members.